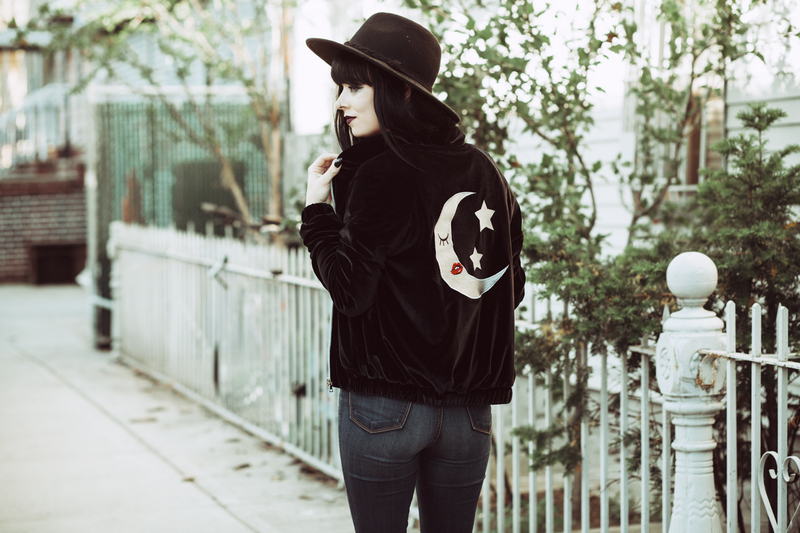 Love this velvet moon bomber. If you know anything about me and my sense of style, you know that I’m a sucker for anything with a moon on it. 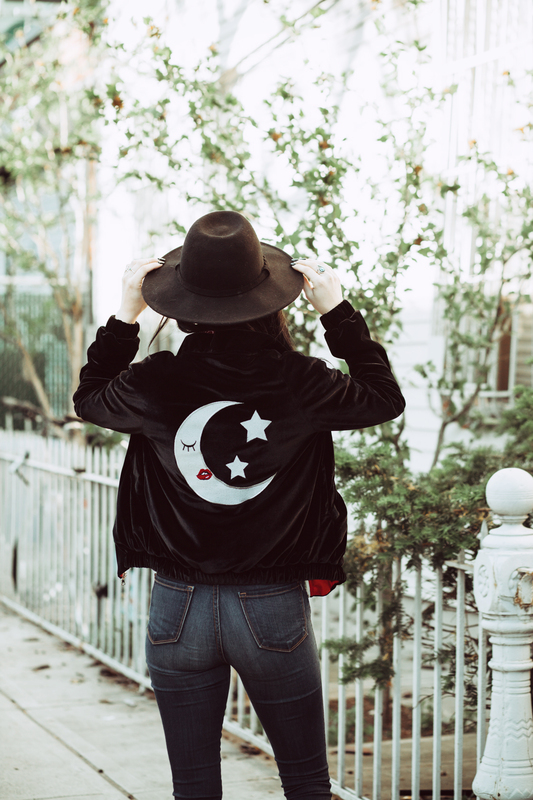 I had to have this Valfre moon bomber once I saw it on their website. I love that it’s velvet and has a red satin lining. It’s so perfect! Normally I wouldn’t go for a bomber but this one was made for me. 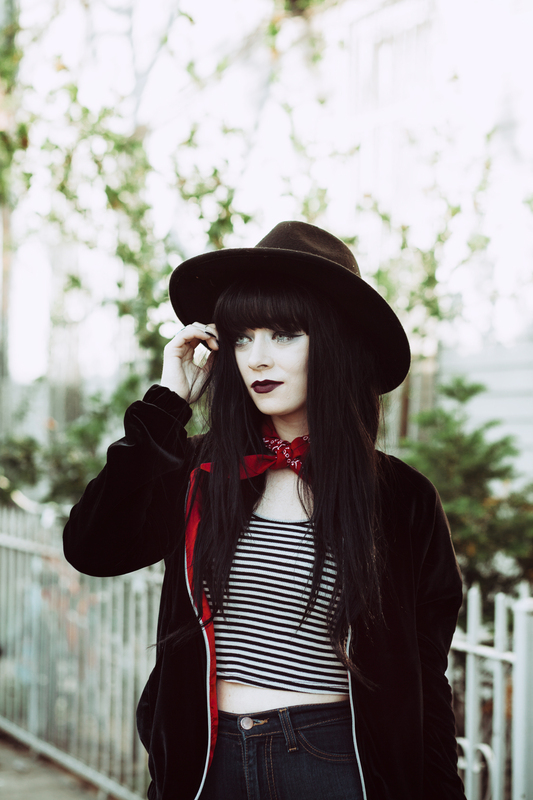 I wore a classic summer outfit with it – striped crop top and jeans paired with a red bandana. Which is one of my favorite go to looks. 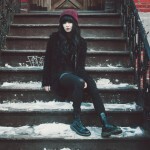 I hadn’t wore my old Dr. Martens in some time so I brought them out to play! In this look… bomber c/o Valfre, Dr. Marten boots, striped crop top from Forever 21 and old jeans. really love your bomber !!! I like your bomber jacket!! Looks so cool!